Feel our passion with lots of heartiness, design and enjoyment. feel happy, feel good, feel relaxed, feel fine and trendy. Featuring the best service in Wagrain, this sterling spot is ordinary. Almmonte Sensum is the place to live … to the fullest and with individual style to your heart`s content. to satisfy and anticipate every wish of our guest. "Service makes the world go round"
The heated outdoor pool is a particular highlight for all water lovers and athletics as the pool has a size of 11 x 3 meters. Immerse yourself in the comforting warmth while admiring the fabulous mountain backdrop. Our relax area allows all sun bathers to enjoy the beauty of the garden and surroundings to the fullest. rest area with relaxation gallery, which is daily open without limitation during the day, a partial sun deck for adults only, a treatment room for massages and cosmetics. 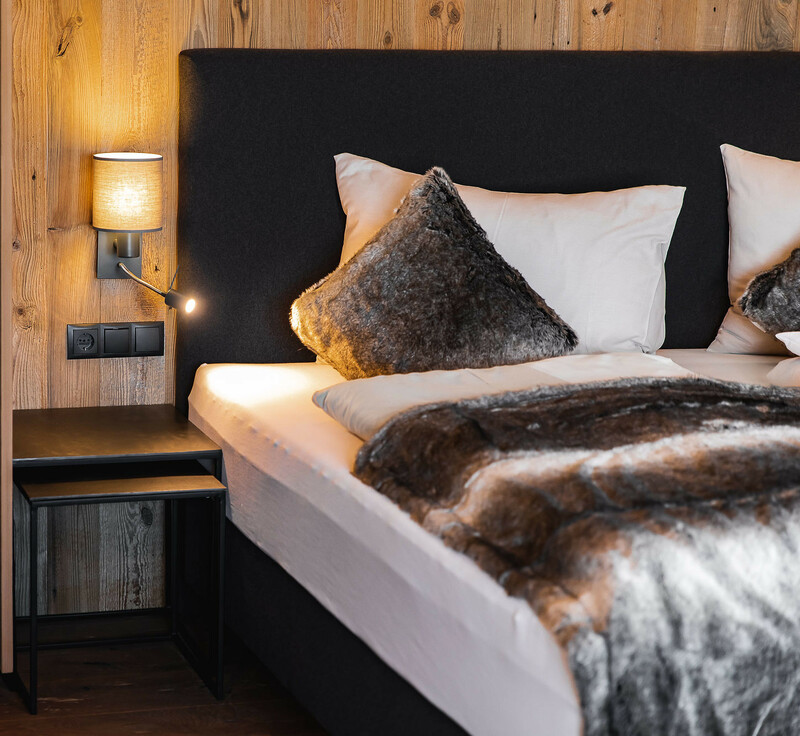 Our newly refurbished and recently opend design hotel (since December 2018) impresses through the distinct décor. We are offering our guests the austrian charm combined with all modern amenities what you expect. The hotel is a great place to start your day with a delicious breakfast in a unique and charming setting before stepping out for a day of sightseeing, skiing, biking or shopping - all found within short distance. Our staff and our impeccable service makes our hotel to the the perfect spot in Wagrain for an unforgettable holiday in the mountains. Here you get more impressions and informations DISCOVER YOURSELF!